So, this idea was born from a necessity to save. My household uses tissues a lot. I have two small kids, so they are extremely useful. The problem with tissues is that they seem to disappear in no time. So, whenever we ran out in-between shopping visits, my family would just use toilet paper. Then it hit me. I was spending too much money buying tissues. 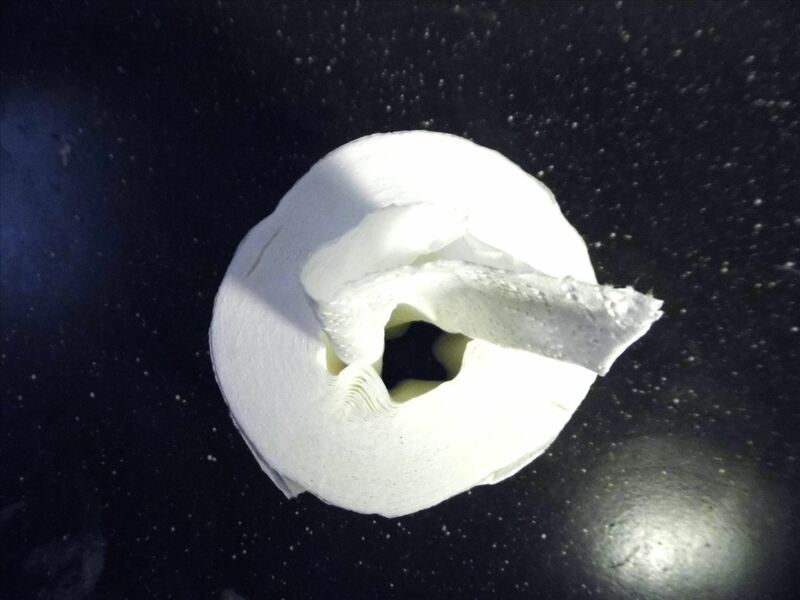 Why not just use toilet paper all of the time? I did some quick math and it blew me away! Hitting up my local Walmart, a box of Kleenex containing 100 tissues sells for $1.69. 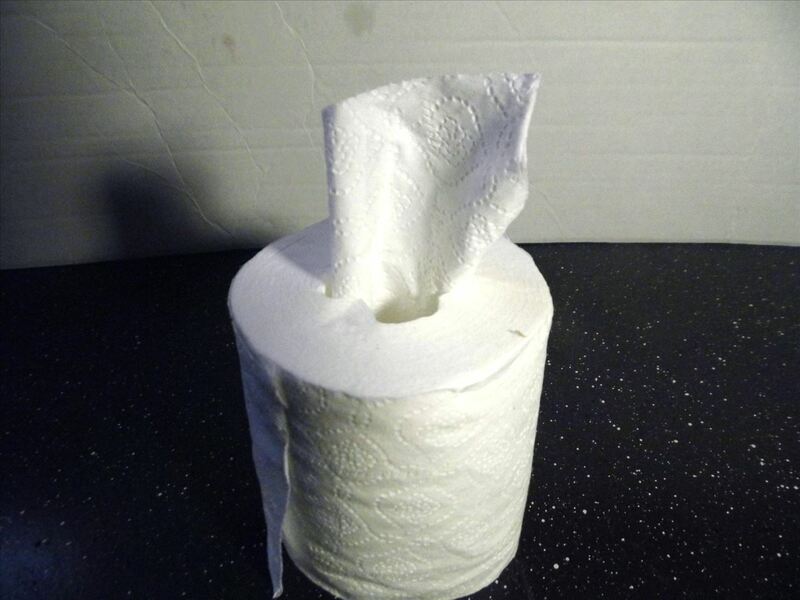 A four-pack of store brand bath tissue sells for $1.27. Each of those rolls contains 100 sheets. 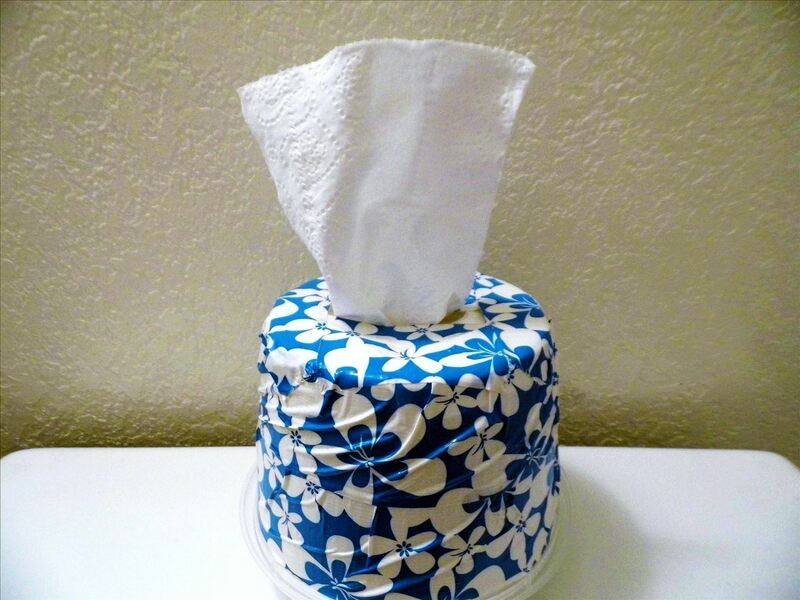 On average, my household uses 2 boxes of 100-tissue Kleenex each month. I only have two small children, so I imagine bigger families or folks with bad allergies will use more. But sticking with 2 boxes, that'd be $3.38 each month. Over a year, that's $40.56 in Kleenexes. Now, since each roll of the store brand toilet paper contains 100 sheets, and there are 4 rolls per pack, that's 400 sheets total. So, you'd only have to purchase 1 pack every 2 months. That's 6 packs a year for $7.62, giving you a grand total savings of $32.94. But it's unlikely that you'd be using just 1 sheet of toilet paper to blow your nose with, so let's say you use 2 sheets to equal 1 tissue. That means you'd instead be getting 1 four-pack of toilet paper each month for a $15.24 annual cost. That's still a pretty good savings of $25.32 each year! And if you're an extreme shopper, you might just be able to find a better deal than me. I'm thinking with sales and coupons, it's possible to save up to $50 if you play your cards right. Okay, now that you know the savings, you'll probably want your TP to pull out like tissues, instead of unraveling like normal toilet paper. 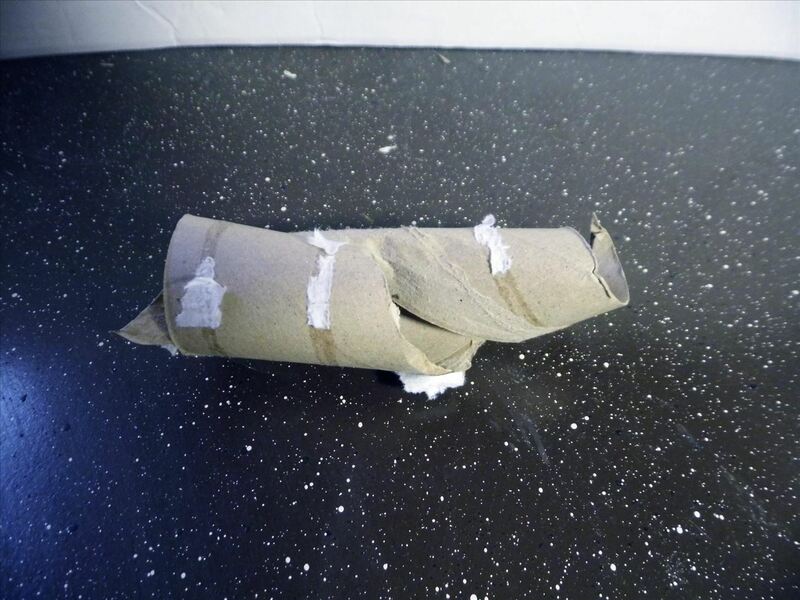 To do that, let's make a cool tissue dispenser that uses that TP! 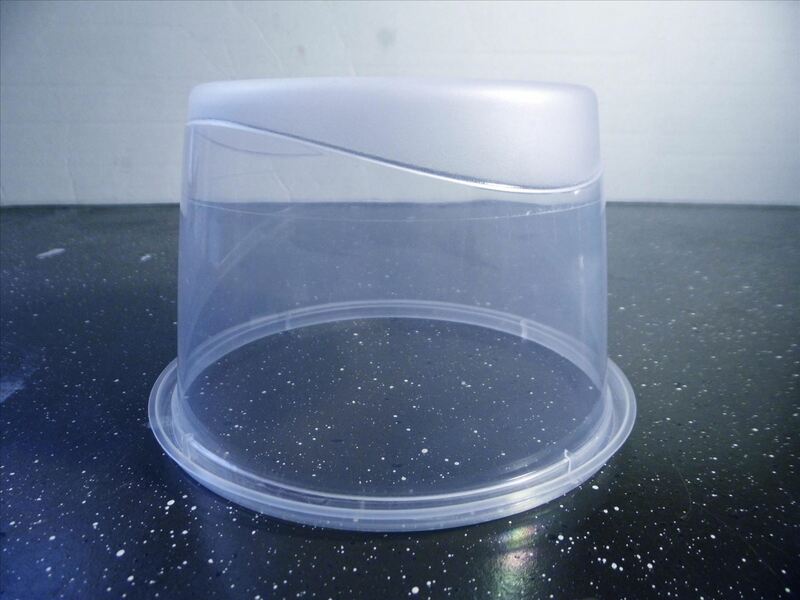 Clean out your plastic container and make sure it is big enough to fit a roll of toilet paper inside. 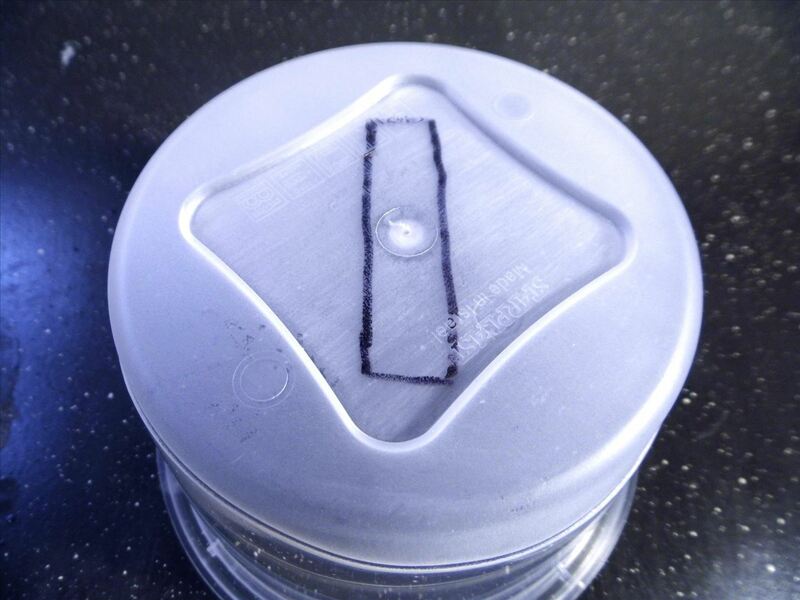 Using your marker, draw a rectangle on top of the flipped over container (so, technically the bottom). Make sure it is big enough to pass the toilet paper through. Using your razor blade, carefully cut out the rectangle you marked in the previous step. 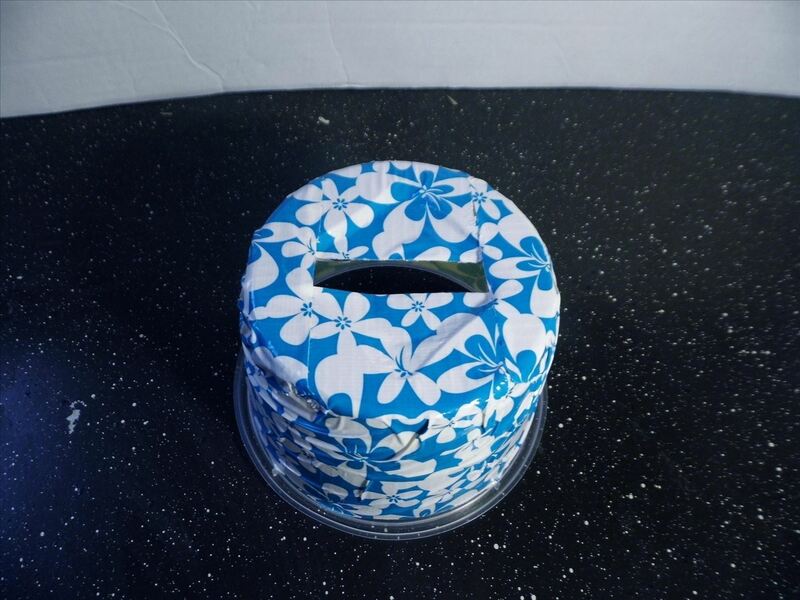 At this point, you will want to decorate your container as you see fit. Clearly paint would be awesome, or decorative paper. 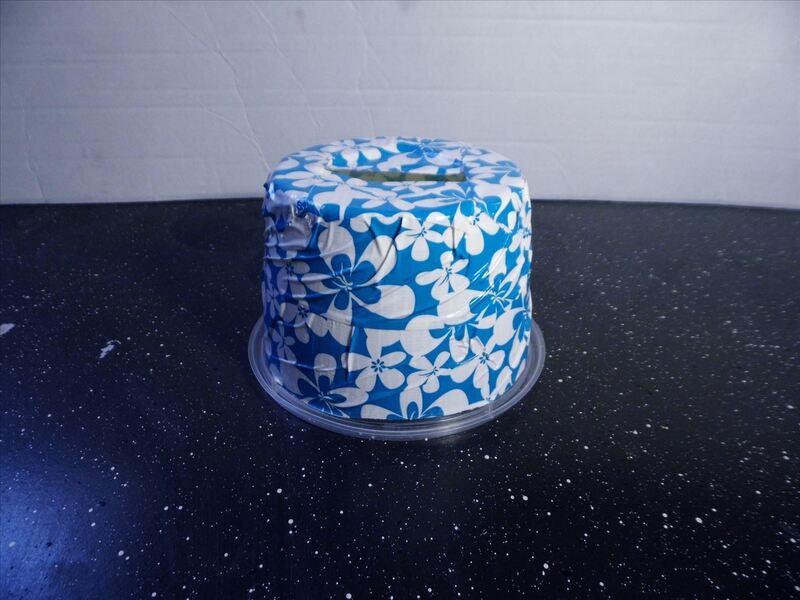 My wife found some blue floral duct tape that she liked, so I used that. Make sure you pick something you're okay with being in your bathroom. 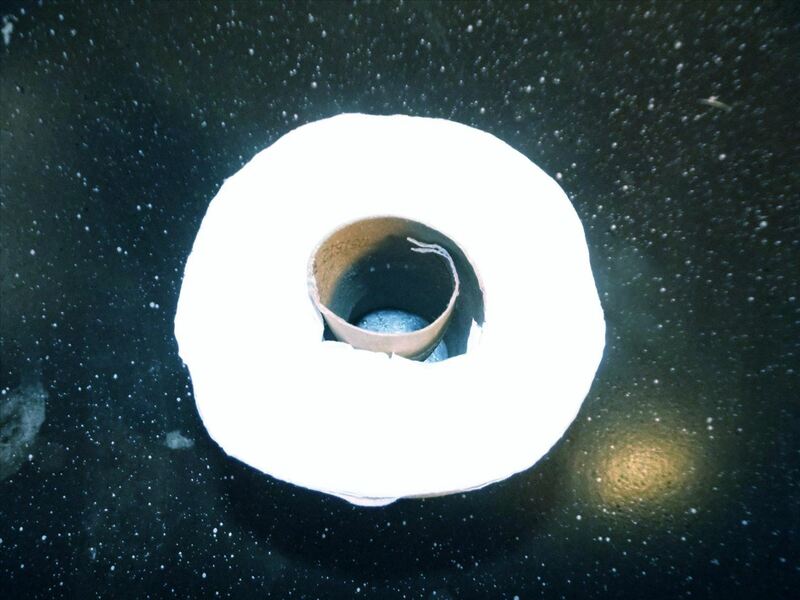 To remove the cardboard center from the toilet paper, first locate the perforated spiral in the center. I have marked it here for you can see it better. 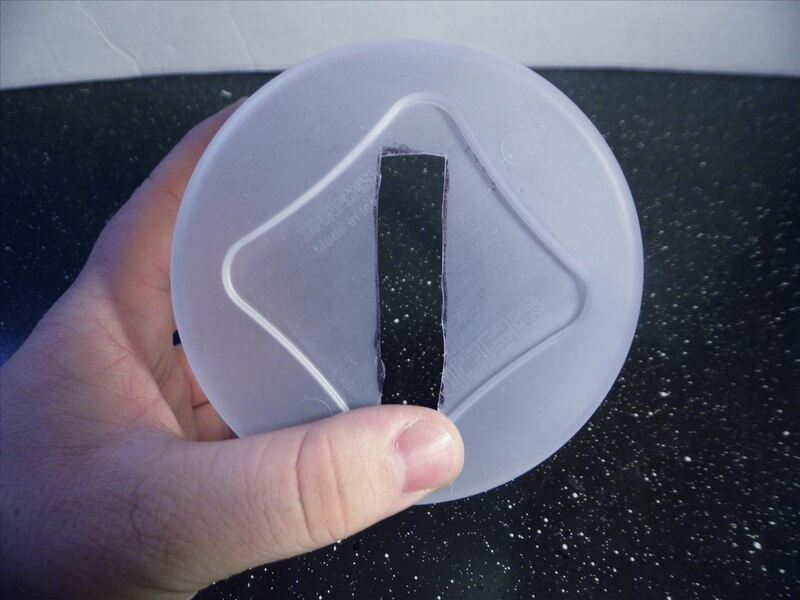 Make a small slit in the spiral, and begin slowly pulling it upwards, making sure the tube tears along the perforation. 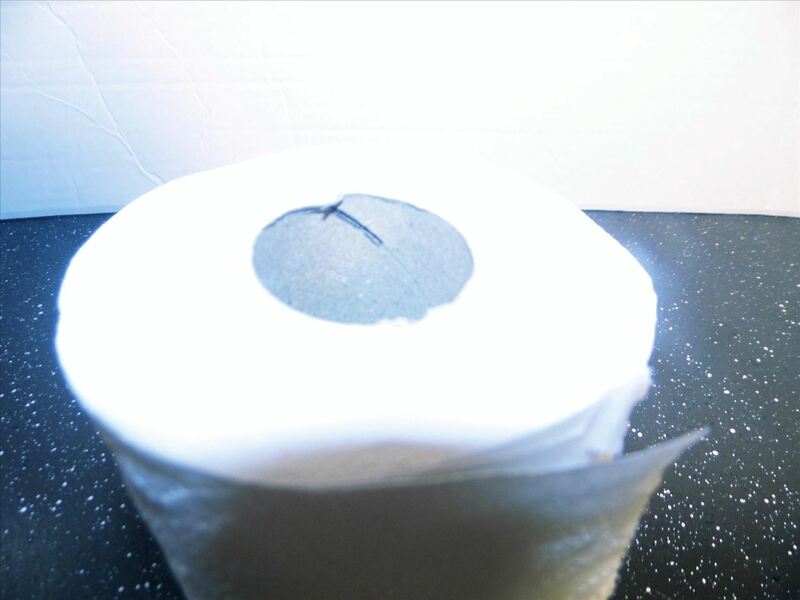 Insert your new tissue roll into your container and thread the top through the rectangle hole. Place in your bathroom. 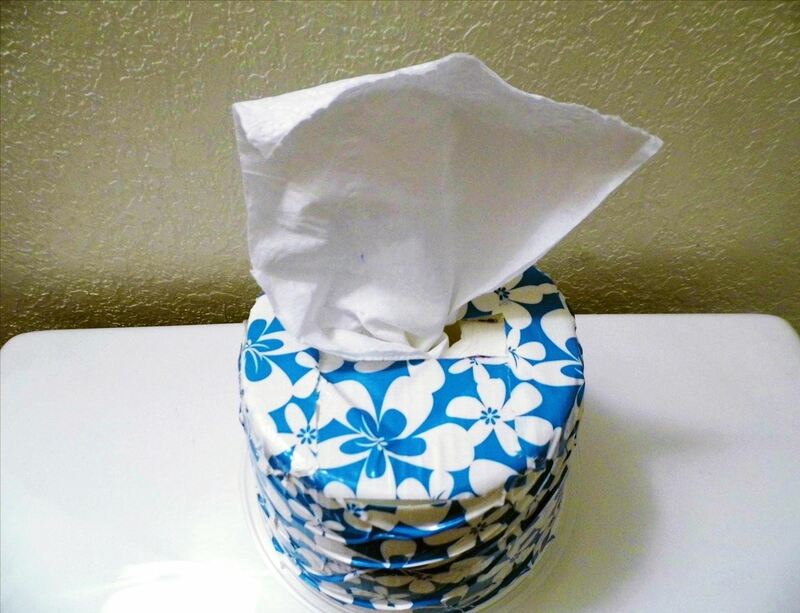 Can you think of a better way to make a tissue dispenser? Sound off in the comments below!